Web Desk: Motorola might not make the most popular flagship phones out. 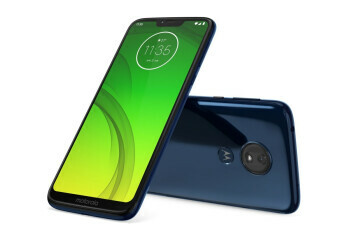 But for many years, Motorola has been working to release successful and affordable phones out there, the Moto G series. The Moto G7, Moto G7 Plus, Moto G7 Power and Moto G7 Play are all variations on a theme. 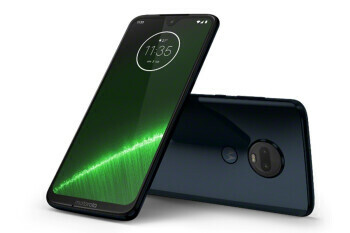 Moto G7 Plus shares many of the Moto G7’s core specs, like a 6.2-inch FHD+ screen, teardrop notch and Gorilla Glass backing. The phone has a 16-megapixel/5-megapixel dual camera setup with optical image stabilization (OIS), and a 12-megapixel front-facing camera for selfies. It also has a more powerful processor — Qualcomm Snapdragon 636 instead of Snapdragon 632 — and is water resistant at a rating of IP54 (protected from limited dust and spraying water from any direction). Extras include red and indigo colors, stereo speakers tuned by Dolby and the fastest Turbo Power charging, which gets you 12 hours of juice in 15 minutes. The G7 Plus includes high-resolution zoom (all the G7s do), and an “auto smile capture” mode for the rear and selfie cameras, which will automatically take a photo with up to five people in the frame, once everyone smiles and stops moving around. The phone costs 300 euro (around Rs. 47,000 in PKR). 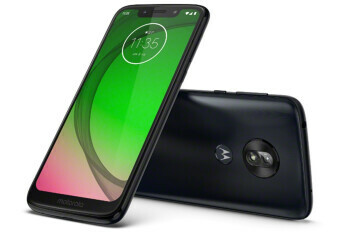 Moto G7 Play has a 5.7-inch screen, splashproof, plastic body with a soft-touch grip, a 13-megapixel rear camera, and a decent 3,000-mAh battery. Modest G7 Play comes with Android 9 Pie, a headset jack and rear fingerprint reader, and a Snapdragon 632 chipset. That processor alone makes the G7 Play 110 percent faster than the G6 Play. It comes with a more humble 32GB of baked-in storage and just 2GB of RAM. You’ll be able to store up to 256GB more files than the phone comes with, thanks to the expandable storage slot on every Moto G7 phone. The phone costs 150 euro (More than Rs. 23,000 in PKR). The Moto G7 Power’s 5,000-mAh battery takes center stage on this device, promising 2.5 days of battery life on a single charge. TurboPower charging means you can effectively top up the battery to give you 9 additional hours of use in just 15 minutes of charge. The splashproof G7 Power has a wide eyebrow-style notch on its 6.2-inch screen, but you can tell by holding it that the body is more rudimentary than the Moto G7. 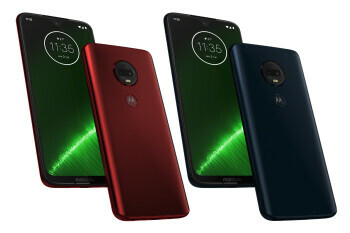 The Moto G7 Power has a single 12-megapixel rear camera and an 8-megapixel front-facing shooter. The phone costs 210 euro (around Rs. 33,000 in PKR). 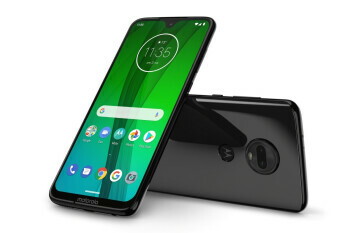 Moto’s new G7s for the US, this looks and feels more luxe than you’d expect for a £239 (more than Rs. 39,000 in PKR) device. There’s glass on the front and back, a small teardrop-shaped notch and ultrathin bezels all around. The phone has 6.2 inches display. It features dual 12-megapixel/5-megapixel camera setup makes depth-sensing portrait photos possible using that second lens (the G7 Power and play have that too, using software only). An 1.8GHz octacore Snapdragon 632 chipset helps keep tasks moving along, so everything felt zippy in the brief time I had with the phone. As a bonus, there’s water resistance up to IP154 and 64GB of onboard storage to fill up with your photos, videos and apps.